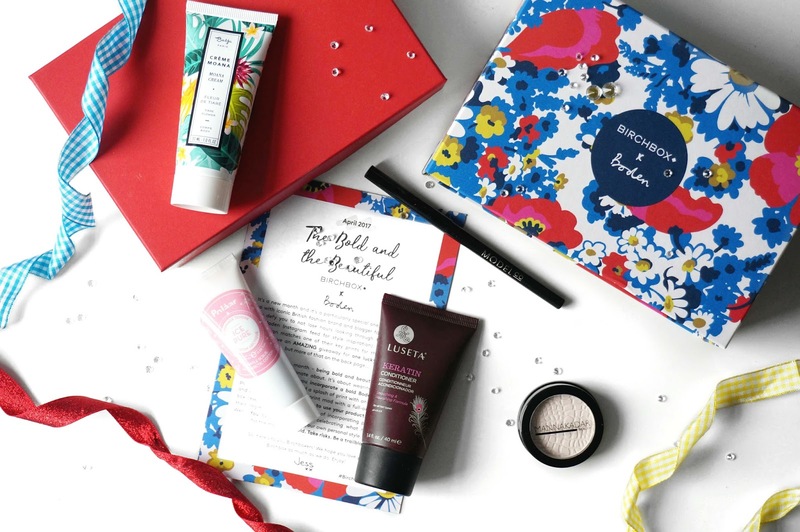 This month's Birchbox is in collaboration with Boden an iconic British Fashion Brand filled with vibrant and colourful prints. The theme of this is 'The Bold and The Beautiful' encouraging you to embrace more colours, more prints creating your own personal style. Withing this month's Birchbox I received 5 items, 2 which were full-size products. 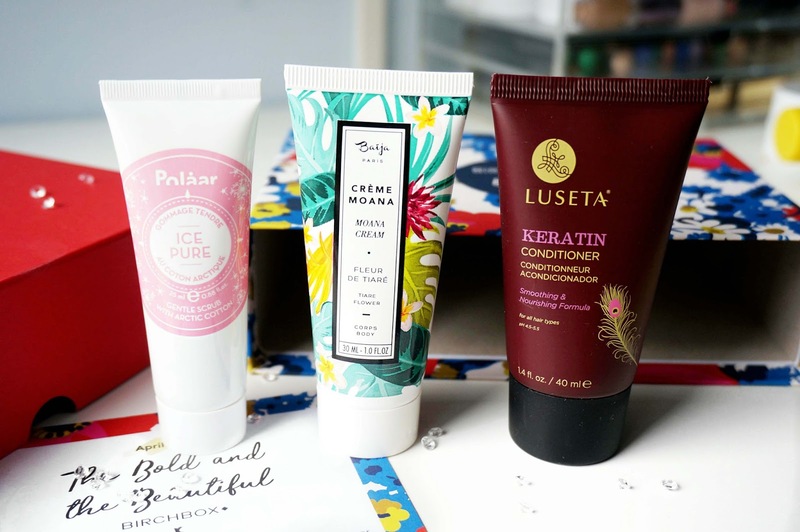 Birchbox is a subscription box which costs £12.99 a month including P+P based on your profile that you create. Starting with an item from Polaar, the IcePure Gentle Scrub with Artic Cotton. Artic Cotton claims to be a powerhouse ingredient which moisturises as well as exfoliate your skin therefore smoothing and softening your skin. I've used Polaar products before and they are extremely moisturising. This exfoliator contains little blue beads and smells very clean and pure, I am excited to try it. The next item is from Luseta Beauty, a Keratin Smooth Conditioner. This is a nourishing treatment that locks in moisture and boosts elasticity. I love receiving conditioners since I always seem to run out of conditioner before shampoo. I'll have to get back to you on this one. I received the Baija Paris Creme Moana in Fleur de Tiare. This claims to be a super nourishing lotion that has a blend of shea and cupauacu butter, coconut oil, jojoba wax to relieve dry patched for baby soft skin. This has a really strong floral scent which lingers on the skin and reminds me of going on holidays. 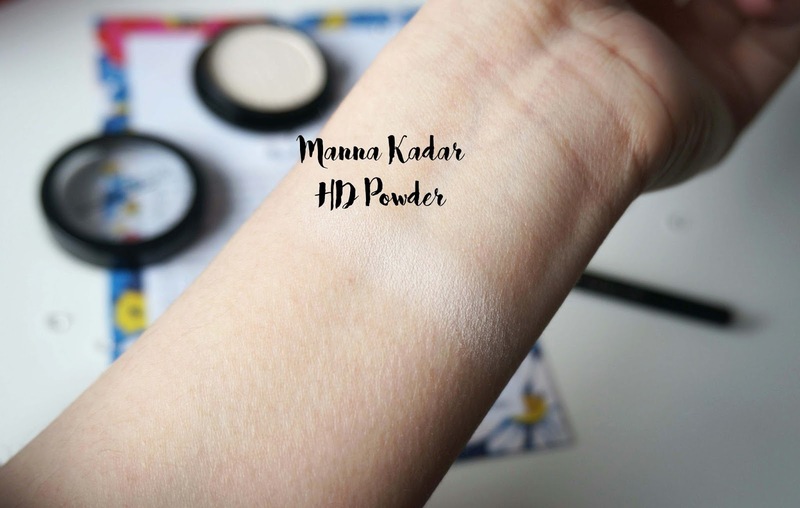 For makeup, I received the Manna Kadar High Definition Powder which is a full sized product. This claims to keep your makeup on, has a velvet finish and HD powder that mattifies your skin. I keep hearing about this product on YouTube from Chrisspy who likes using this to set under her eyes as it brightens the under eye area. This has a white cast and really does show up on my skin, I wouldn;t recommend this if you were planning to take photos. Another full sized product is from ModelCo, the Eye Define Crayon Liner. This eyeliner claims to last all day, is water resistant and does not budge. This has a twist up applicator and I have been using pencil eyeliner for my wing recently so I am excited to try this out. That is all for my unboxing, hope you enjoyed this post, what did you receive in your box this month? If you are not yet subscribed feel free to use my link here. The packaging is so beautiful, even that just makes me want to buy it! I love all the bright bold colours. Makes a nice change from the minimalist packaging, (however much I do love it)! 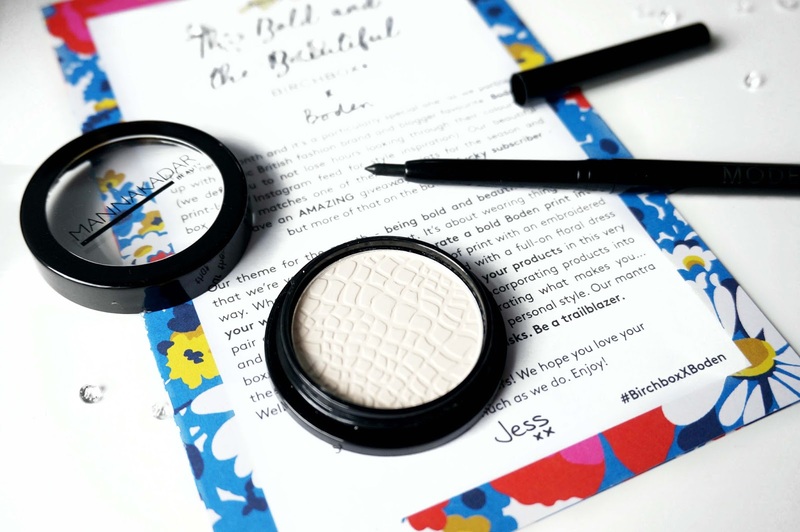 Your photos just come to life in this post :) I'm not subscribed to the box, but I like the sound of that HD powder for under your eyes.